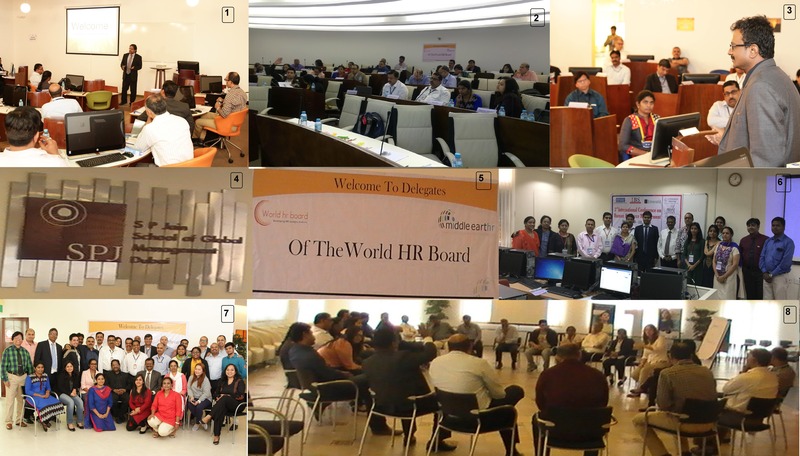 The major new activity we embarked on was the SP Jain joint program, we had 30 senior Professionals from different countries for the strategy and organizational transformation programs at SP Jain Dubai. The program was triangulated into three distinct processes – the first was class room learning headed ably Professor Christopher – the Director of SP Jain Dubai and Myself , the second process was the team building activities which were built around sensitivity based exercises and a specific cross cultural training at Global village and the last was the fun processes which were coordinated by student coordinators the highlights of which were the cruise experience and the music room experience . The program received rave reviews from all the participants and the triangulated three process learning system is going to be the basis of all future group immersive learning experiences. Other highlights of the quarter was the development of new versions for our most popular programs namely Certified Recruitment Analyst ( CRA ) , Certified Performance and Competency Developer (CPCD), Certified Compensation and Benefit Manager ( CCBM ) , Certified Learning and Development Manager ( CLDM ) – The major changes to these products is an increased focus on analytics and dashboards , addition of more regional case studies from locations all over Asia to create a more “glocalised’ feel in the programs and a focus on web based resources as well as latest research trends. From people perspective, we did introduce some new programs like more flexi-time and also certain culture building initiatives so that would ensure high degrees of employee satisfaction.